I have been living independently for more than five years now. Traffic in the metro was too much to handle and I have decided to live near my workplace. You see, I'm after convenience- and yeah, it saves me more time. However, living alone means I have to juggle many things on my own. Prepare food, do the laundry, clean the room, do some grocery shopping. This is quite a basketful of tasks, considering I spend at least 9 hours at the office, plus preparing and commuting time. This is also true for working parents- sometimes 24 hours isn't just enough. Like we all wish we have some extra hand to do the task. If I can have at least one task unloaded on me, that will be super helpful. 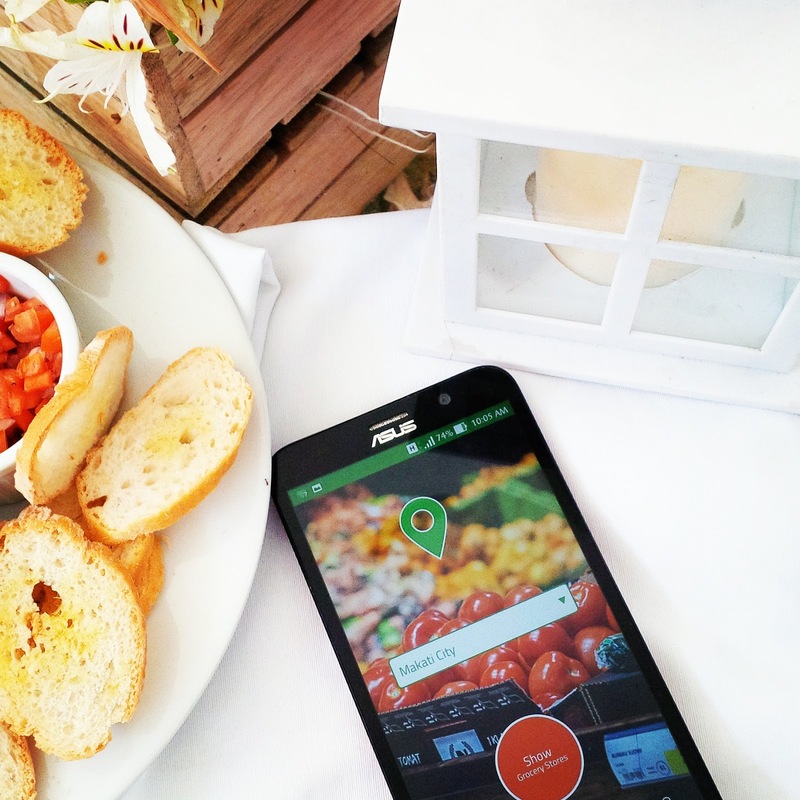 Last week, I had the privilege to be invited at the launching of EasyGrocery app--the latest mobile app that let's you purchase grocery items and had it delivered at your preferred address within 60 minutes committed time. 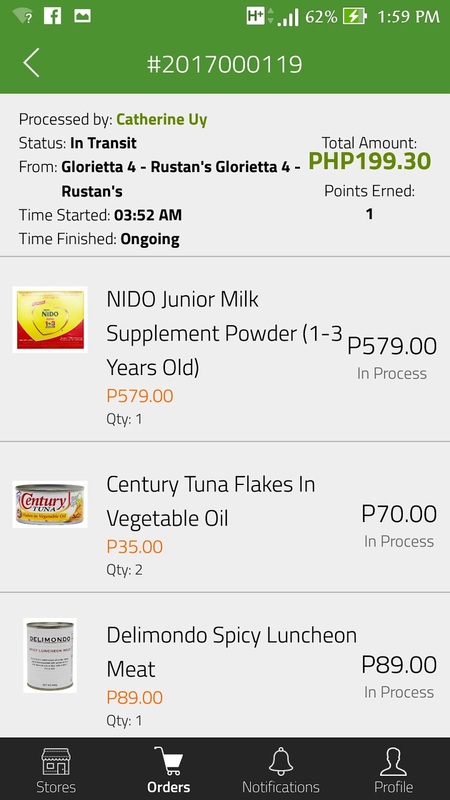 Now, I can do my groceries online and in the comfort of my own home (or office). Download the app from Google Play Store or App Store. Select a preferred store near you. Pay using credit cards, cash or points. Choose your delivery option: Store pick up or home delivery. 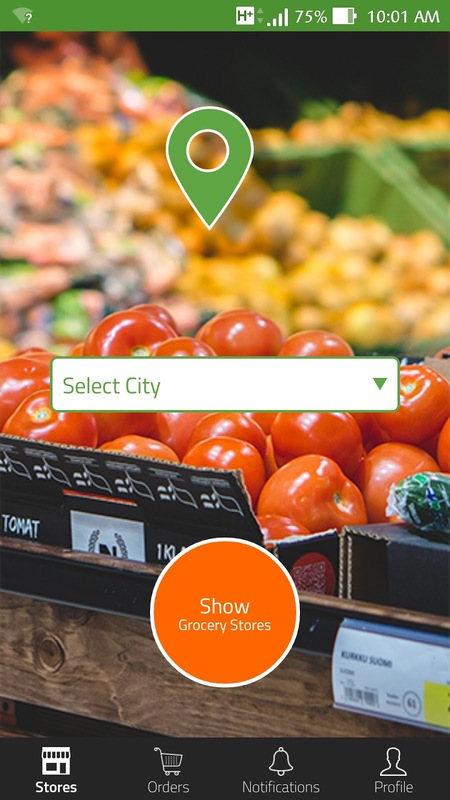 I have already created my account, so I have just have to log in, select city and the grocery store you wish to buy. Buying items is easy-peasy. Items are grouped per category. 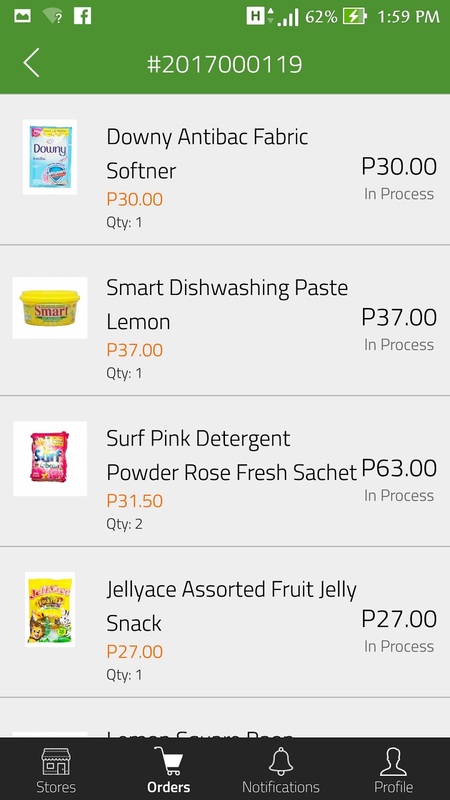 Just browse and select the items you wish to buy, indicate the number of piece/s and then add to cart. Once your done selecting the items, you will be given a purchase number. Select your mode of payment then wait for your orders to be processed. Here's the list of the items that I ordered. 1. 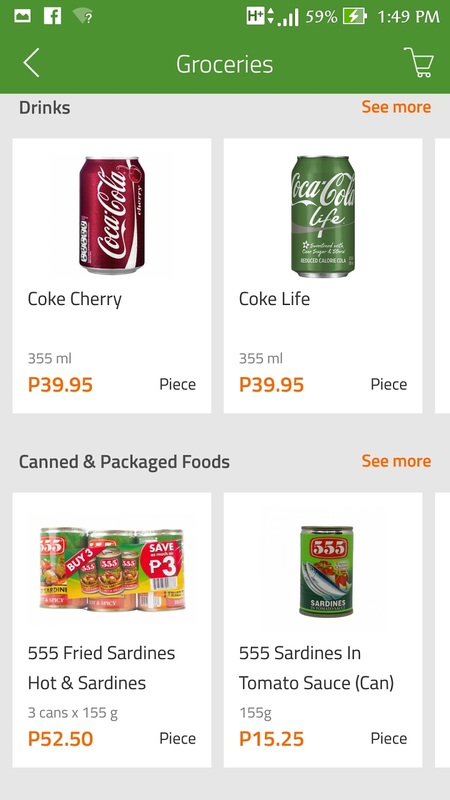 Is the price of the grocery items from the store different from the price in the EasyGrocery App? - No, you pay for the same price in the store. 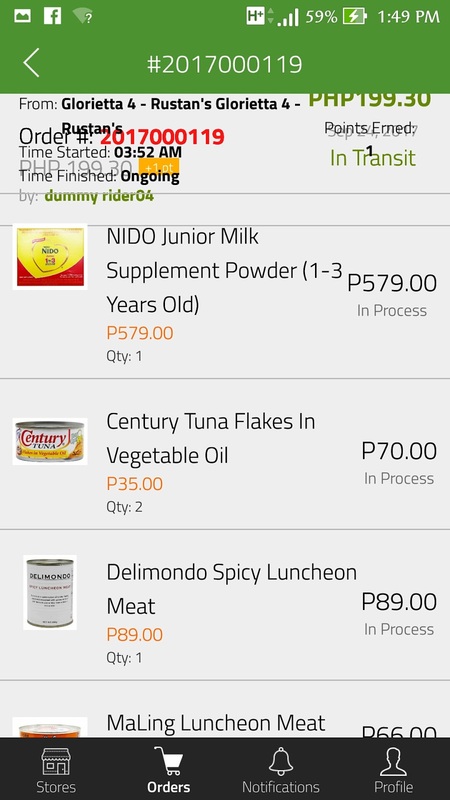 EasyGrocery App does not put mark-ups on the SRP of the grocery items. 2. What are the available locations in the app? - Users have an option of paying Cash on Delivery (COD), credit and debit cards, points and soon via Bayad Centers, online banking, over the counter and other mobile payment facilities. 4. What is a 'runner'? - Runner/s are the trained personnel of EasyGrocery who acts as buyers of your orders. 5. What is the assurance that my orders will be delivered? 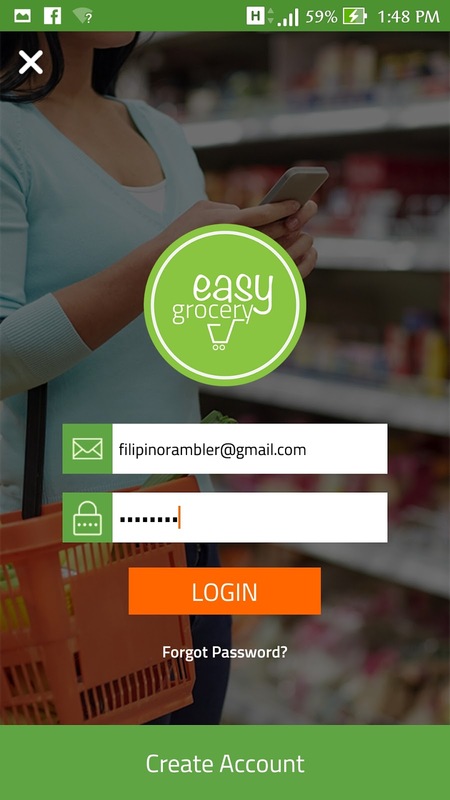 - The EasyGrocery app is designed to send customers notifications with the status of your order fulfillment. The app is equipped with GPS tracker to provide real-time data as to the location and the ETA of the rider. 6. What if the item I ordered is out of stock? 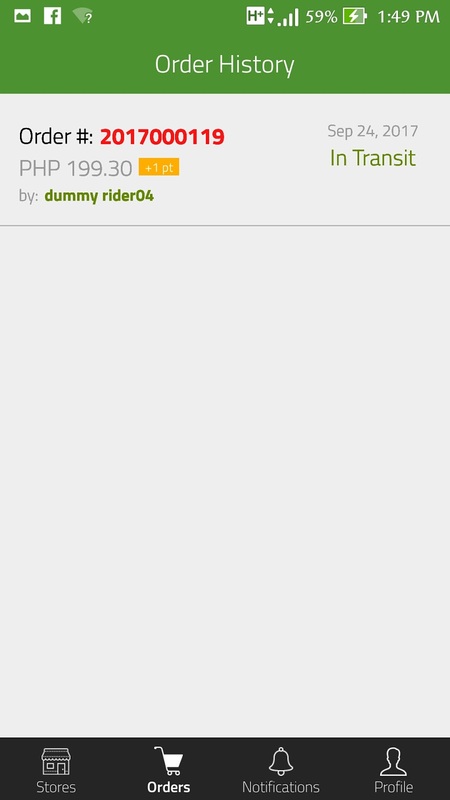 - You will receive a notification from the app that your item is unavailable. The runner will also give you a call with the options for your order. 7. How much is the fee? 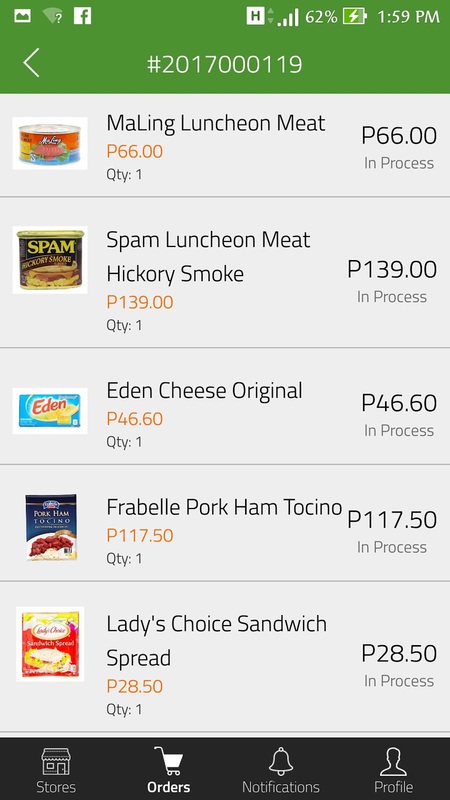 - EasyGrocery only charges a flat rate of Php100 for the service fee and another Php100 for the delivery fee. 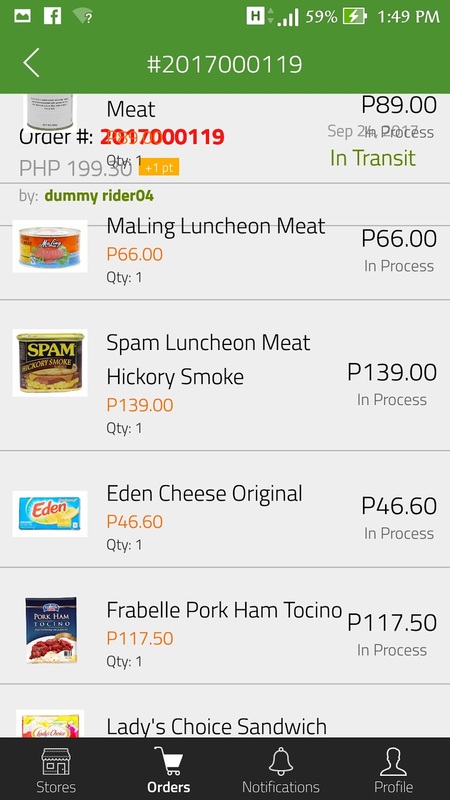 I had an amazing experience with the EasyGrocery app. It is very easy and convenient to use. For the service and delivery fee of Php200 only, I find this affordable compared to commuting and it saves me time. Now I can forego the hassle of physically going to the grocery, dealing with the traffic and crowded supermarket and longer lines at the cashier. 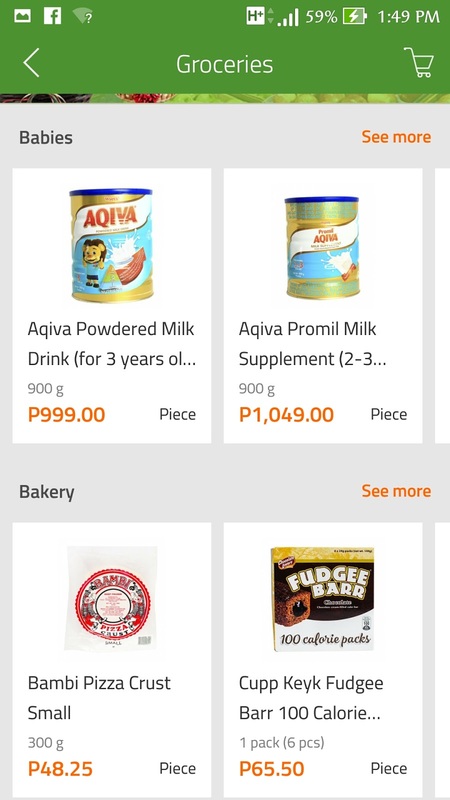 Here's us during the EasyGrocery App launch. My orders delivered! And I love that the items are inside the EasyGrocery eco bag.